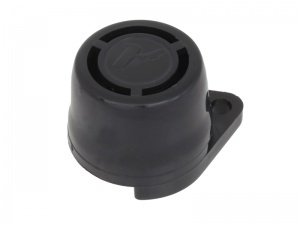 12V mini warning buzzer with a piezoelectric sounder. Ideal for warning that indicators are operating but can be used for numerous other applications. 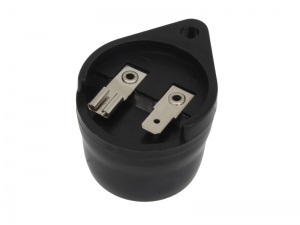 Surface mounted via single screw hole and connection is via 6.3mm male/female terminals with polarity markings.